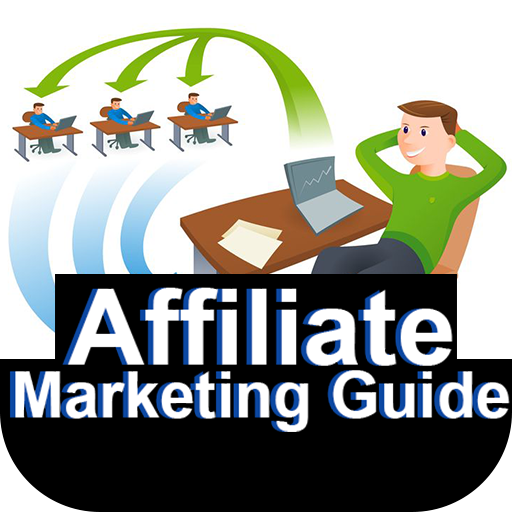 There are multiple ways via which you can do affiliate marketing. 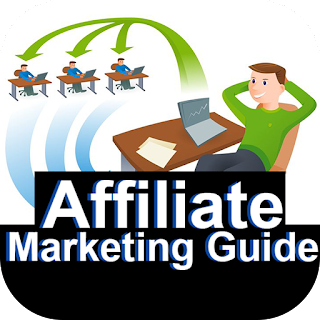 In this guide, we are specifically going to look at the way of doing affiliate marketing via building affiliate sites and promoting Clickbank digital products. What is niche or niche market? A niche market is a smaller but distinct section of a larger market. Basically: It’s a group of people having common problems and are looking for solving them. In the above example, Dog Care is a Larger Market; Dog Training is a niche market, and German Shepherd Training is a sub-niche market. Choosing your niche is the first and the most important step. Most of the beginner marketers make the fundamental mistake of choosing the wrong niche and create websites and content which never bring them any success or money. Usually, beginners choose a niche based on their common-sense, interests, passion, likings, problems they can solve and so on. Although choosing a niche based on these factors helps, but it alone won’t guarantee you success. Along with the factors mentioned above you need to consider other important factors as well to which will guarantee your success. Follow the steps below to come up with a profitable niche market. A. Which are things you like to do the most? For example, hobbies, skills, activities you enjoy, talents, interests and so on. B. Problems you would like to solve? For example, health, relationships, education, money and so on. C. Things you would like to learn? For example, internet marketing, creating eBooks, yoga exercises and so on. For now, write down all the niche ideas that come up in your mind and move on to the next steps. 2. Find affiliate products - In this step, you need to make sure that there are enough affiliate products available in your niche so that you can promote them on your website. To find affiliate products, Google search "your main keyword affiliate programs"
You’ll have to promote multiple products on your site; that is how you’ll make money. Therefore it’s important to have access to a variety of niche relevant affiliate products that you can promote regularly. 3. Find out whether people are spending in your niche - If you want to start a profitable affiliate marketing business, you need to find a niche in which people are known for buying products. You don’t want to get into a niche in which people look only for freebies and casual information. Cash-rich niches either have passion or problem present in them. People spend money on things they are really passionate about. They also spend money for solving problems or achieving any goal. For example, weight loss niche has problem aspect present in it. Obesity can bring in a lot of health and social problems because of which people want to get rid of it. Hence they are willing to invest in training and stuff that will help them to lose their weight. Another aspect you determine whether people in the niche are buying products online. Because only when they buy products online using your affiliate link will make you money. 4. Other important factors - Finally, you’ll also need to look at the following important factors to zero down your profitable niche. A. Google Searches - Go to Google Keyword Planner and type in the main niche keyword, make sure your main keywords have more than 10,000 local US searches and more than 300 local US searches per month for other relevant keywords. B. Google Trends - Go to Google Trends and type in your main niche keyword. If the keyword shows an exponential or stable graph, then it’s a good niche to get in. media groups and magazines related to your niche, if there are lots of them then go for the niche. D. Advertising - If you see ads on the top and side of the search results when you search for the main keyword then it’s a good sign which indicates that there’s money to be made in this niche. People invest in paid advertising when they know that they can make even more money back. Customer avatar is nothing but a fictional representation of your ideal customer. Creating a customer avatar will help you to understand the goals, problems, demographics and other characteristics of your ideal customer. Once you have the right understanding of your ideal customer, you can optimize your marketing process to get more sales. To give you more idea, below, I am creating a customer avatar of a person who wants to make money online by doing affiliate marketing. Once you’ve selected your niche, it's the time to find out right Clickbank product. Clickbank.com is an online marketplace where you’ll find thousands of affiliate products to promote almost in every possible niche. Go to Clickbank.com, register on it using your email address and log into it. Follow below steps to find your first affiliate product. 1. Once you’re logged into Clickbank click on the “Marketplace” link present on the top bar. 2. From the list of available categories, choose a category and a sub-category that is relevant to your niche. For the sake of this guide, I’ll choose Self-Help category and Motivational/Transformational sub-category. 3. At this point, you’ll see a list of products, from here you can promote any product you want to promote. But as you are just starting I will suggest you just to find products with Gravity between 10 to 30. Gravity is a metric provided by Clickbank which indicates how the product is currently selling. Higher product Gravity means many affiliates are promoting it and making sales. Selecting products having gravity between 10 to 30 will ensure that the product is selling in decent volume and a small or medium number of affiliates are promoting it. You want to stay in this range because you can complete with a small or medium number of affiliates in the beginning. If you go with a product with a higher gravity, you won’t be able to compete with a large number of affiliates. So for now, go to filter section in the top left and set Gravity between 10 to 30 and sort the results by Gravity. 4. Now from the list of products click on links to each product to see whether their sales page looks engaging and relevant to your audience. I’ll suggest you choose a product whose sales page has a video on top and contains real testimonials and proofs. Getting affiliate link of your chosen product is extremely easy, just click on the Promote button on the right, enter you Account Nickname and click Create. A custom link will be created which will only be assigned to you. Save this link, for now; you’ll need to embed into your articles in the later steps. A keyword is nothing but a set of words that people type into search engines when they are looking for something. 1. Informational keywords - People type his keywords when they are looking for information. These keywords will contain words like how to, the guide to, ways to and so on. For example, how to use Google Drive is an informational keyword. 2. Tire-Kicker Keywords - These keywords are typed by people who want things for Free. These keywords will contain words like free, free download, torrent and so on. For example, free weight loss eBook is a tire-kicker keyword. 3. Product Keywords - People type these keywords when they already know a brand, product or a service. These people are acquainted with a product, but they need more information about it before they could make a purchase decision. Typically these keywords contain words like review, best, compare, brand name (Samsung, Apple), product name (iPhone 7, iPad Mini) and so on. 4. Buyer Keywords - People type in these keywords when ready to make a purchase. These keywords will contain words like buy, purchase, discount, coupon, shipping and so on. As an affiliate who wants to make money by selling products, your first target should the buyer keywords. After that, you should look at product and information keywords for expanding. In this step, your job is to dig out your niche relevant buyer, product and informational keywords. Before you can start researching your keywords you need to understand one major concept related to keywords and that is Primary keywords and secondary keywords. Primary keywords are the main keywords of your niche. They are ones with the highest search volume and traffic potential. For example, nootropics, home remedies. Secondary keywords are the ones which are closely related to your main keywords. They don’t have huge search volume like primary keywords but when combined have a huge traffic potential. For example, best nootropic for anxiety, home remedies for pimples. Let’s begin the keyword research process. 1. Brainstorm primary keywords - This step will be the starting point of your keyword research process. Think about what keywords people will type when they want to find a topic, a solution or achieve a goal related to your niche and make a list of all such keywords. Try to find maximum primary keywords because these are the ones that will find you secondary keywords, both of them combined will bring loads of traffic to your site. 2. Use Google Keyword Planner for finding secondary keywords - For those who don’t know, Google Keyword Planner is a free tool provided by Google which provides you all the relevant keywords and their search volumes related to your primary keyword. For now, sign into Google Adwords and select Keyword Planner from Tools menu on top. Click on Search for new keywords using phrase, website or category. Enter all the primary keywords you’ve found in the previous step in Keyword Planner. For the case of this guide, I am taking primary keywords from Home Remedies niche. Select target country as the United States and turn on Only show closely related ideas option from Keyword options section and Get Ideas button. In the above screenshots observe how I have selected my primary keywords, they different wording but have similar meanings. ​At this moment Google will show you all the secondary keywords which are closely related to your previously entered primary keywords. Not all the keywords are suitable for affiliate marketing, therefore use the knowledge you got in Step 3, Understanding keywords section to dig out all the keywords which you think would be perfect for building a website for doing affiliate marketing. 3. Shortlisting keywords based on competition - Just picking up the affiliate keywords from Google keywords planner is not enough, you need to do competition check up to ensure that the keywords you’ve chosen have less competition and your site new has chances to rank for them. Do the following checks to ensure that your new site will have an opportunity to rank for a particular keyword. A. Social media results - When you search a keyword in Google and see eCommerce websites at top three positions then you should remove that keyword from your list. ​For example, keyword buy shoes online return search engines results containing all eCommerce sites so we should avoid such keywords. B. Authority websites - If you see big authority websites or government websites at top three positions then avoid that keyword. C. Domain Authority/Page Authority (DA/PA) - DA and PA are the ranking metrics defined by a tool called OpensiteExplorer, enter the all the websites that are ranking on Page One for your desired keyword. If the DA and PA of all the sites are below 30, that means all the sites are ranking for your keyword have low to medium authority and you can outrank them using your site. Take this as a perfect sign and shortlist the keyword. D. Niche sites - If you see niche sites similar to the one which you’re planning to build then it’s a good sign. It means that Google prefers niche sites for that particular keyword and your site also has a good chance to rank easily. 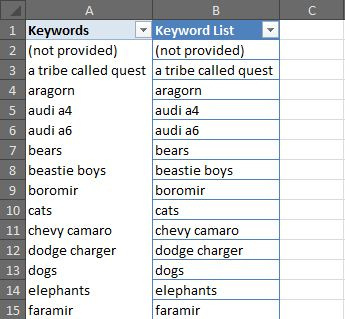 By the end of all the above steps, you’ll have a niche and finalized keyword list; you can now use them to build your content. Content is the most vital of any affiliate niche site. It’s the thing that keeps visitors to glued to a site, deliver value, educate them and convince them to buy a product. Creating a valuable and interesting content that keeps visitors engaged is as important as finding right keywords. You’ll need to take extra effort to ensure that your website content is highly optimized towards your audience's expectations and likings. Following are few important tips you must follow to create high-quality content. 1. Conduct research - Before you can start creating content you must conduct initial research and gather some data, it’ll help you to cover all the important aspects of a topic within your content. To conduct research visit sites like Wikipedia and WikiHow and other how-to sites within your niche. Visit forums related to your niche and collect the questions that people are asking the most. Study their hidden demands and expectations. Participate in discussions and try to learn more about your ideal customer. You can collect even more data by reading niche related magazines, books and watching videos. Another best and easiest way to collect data is by visiting Ezinearticles.com and searching articles related to your topic. Ezinearticles is a great site where many bloggers, writers publish their articles for free. You’ll easily find hundreds of articles on any topic of your choice. You’ll get many ideas for creating your content from Ezinearticles, but remember just get ideas from them, don’t copy them. 2. Come up with a creative title - Your article’s title will be the first thing that will catch the eyes of visitors and bring on your website. Hence, you need to be very creative while crafting a title. Your title should contain two important ingredients. First, it should generate curiosity and second; it should convey the benefit. You can even add adjectives to make it more click-worthy. For example, 5 ridiculously simple tricks to make $1000 in next 15 days! The above example title contains adjective: ridiculously. It creates curiosity by making people think about what could be those simple tricks? And finally it conveys benefit: Earn $1000 in next 15 days. The above example is a people title to catch the eyes of people who want to make money. 3. The article should do what its title says - Most of the website creators make this fundamental mistake of writing articles which contain vague or shallow information which does not share the things that their title says. People will visit your website by clicking on the title link to the article when they do so they expect specific things to be present in the article. If your article contains vague and shallow information, it won’t fulfill people's expectations. As a result, you’ll lose credibility, and nobody will buy products from your site. 4. Formatting, paragraphs, images and bullet points - Most of the people on the web just scan articles, no one has time to read the whole article word for word until he is extremely passionate. You should keep this thing in mind while creating your articles. Divide your articles into small paragraphs, use images to catch visitors attention, use bullet points and subtitles/topics as much as possible. The aim is to make your content more scannable. If someone lands on your site and sees a long article with no paragraphs, images, and formatting, he’ll quickly press the back button and run away from your site. 5. Promotion at the end - Don’t start promoting affiliate products at many places in the article. The aim of your article is to provide value to your visitors, satisfy their need and build trust about you. Once your article has done all these things, then it's the time to promote. Usually, promote your affiliate products at the end of articles. 6. Remove grammatical mistakes - Silly grammatical mistakes superbly damage the reputation of your article. They make people feel that the article is not written professionally and not worthy of reading. You should make sure your article is free from all grammatical mistakes. Use an online tool named Grammarly. Visit Grammarly.com and create a free account, then paste your article into Grammarly editor. It will then check your article for grammatical mistakes and will indicate you about them. Then you can rectify those mistakes and make your article error free. 7. Article length - Google nowadays prefers to rank long and detailed articles. Therefore to maximize your article’s chances to rank higher you need to make sure that your article is at least 1000 words long. But don’t compromise article’s quality by inserting vague and irrelevant information. Once you are ready with your content, you can move on to create your first affiliate website. For those you don’t know, domain is the name of your website that people will type into their browser’s address to reach your site. Try to come up with a domain name which is short, memorable and if possible contains your main keyword. Also, only register .COM domain name don't go for other options. Once you are ready with your domain name, go to Godaddy.com or Namecheap.com and register your domain. Domain registration will cost you $10 to $12 per domain name. Here’s a small trick to register your domain name for just $0.99. Search “GoDaddy coupons” on Google. Then click on the search result from retalimenot.comand select a coupon which says “93% Off on .COM domains”, copy the coupon code and use it while checking out on Godaddy. A Web host is a server which stores your website content and makes it accessible 24x7 for the worldwide audience. You need to select a web host who is reliable, easy to configure and affordable. There are many choices available in the market, and you can choose anyone you like. If you are just starting out I will suggest you go with Hostgator; I personally use Hostgator for hosting my sites. They have low pricing plans, and their hosts have great speed and reliability. If you’ve signed up with Hostgator. Login to your cPanel and click on Addon Domains under Domain section. Now add the name of the domain you just registered and click on Add Domain button. Wait for few hours till Hostgator hosts your domain on their server. Wordpress will be installed on your site within few seconds, and you’ll be able to upload your articles. Doing on page SEO is crucial if you want your site to higher in search engines. At this stage, you’ll only need to install a free version of a Wordpress plugin called Yoast SEO, configure it, and you are good to go. I’ll also suggest you read the following blog post to improvise your website's on page optimization. When you are just starting your site doesn’t have any authority because of which it won’t rank in on the first page of search results. No Ranking = No traffic. Off page, SEO is the process which helps to increase the authority of your new website as a result of which your site starts climbing high in search engine results and it starts receiving traffic. More traffic means more sales and thus more money. Off page is a huge topic and is beyond the scope of this guide. But I don’t want to keep you hanging in the middle; I am suggesting you read the following blog posts they will help you to move in the right direction.